I finally was able to get groceries today. It has been a while with an empty pantry. 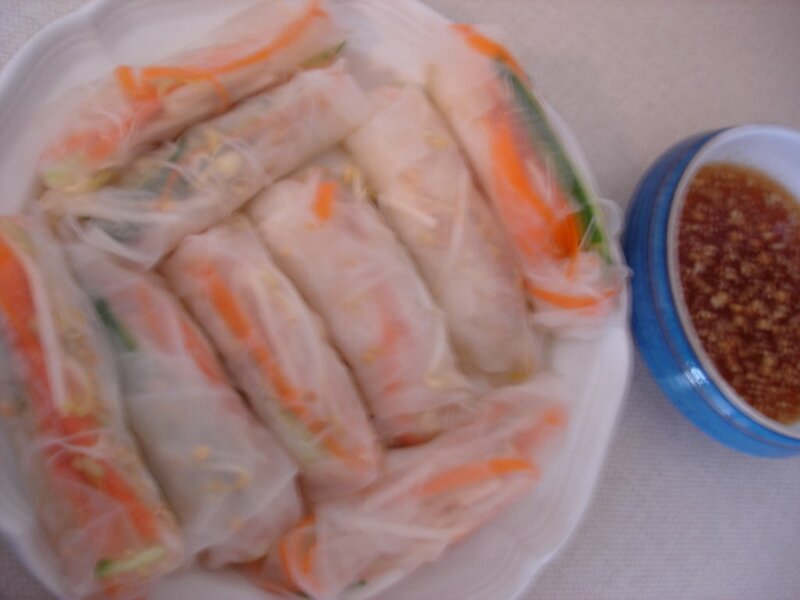 These summer rolls are from Vegan with a Vengance. We love the summer rolls at Cafe 668, so it was great to find a version that I can make at home for our mid-week cravings. They made a perfect light dinner. I was pretty impressed at how easy they were. The rolls turned out pretty loose on my first attempt. 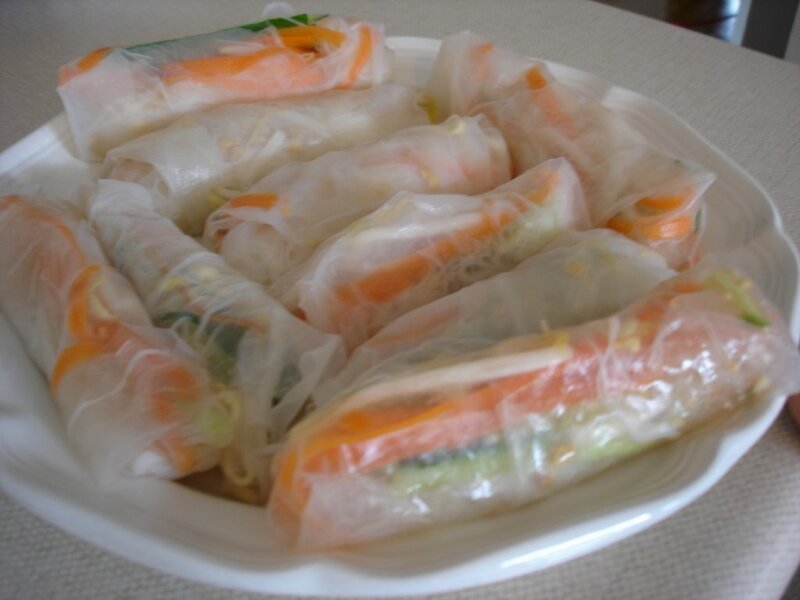 Any tips on getting a tighter, more compact summer roll - you know, the way they are able to do it at the restaurant? mmmm....I love making and eating rolls like this. I'm not sure how I would make them tighter? When I roll them, I bring the sides together right way to form the packet around the veggies. Then I just keep rolling and it seems to come out tight. Thanks Megan! They sure were tastey! I guess I was having a problem with the rice paper ripping a bit if I was too rough with them - i.e. trying to roll them tighter. Anyway, they still worked, but tighter rolls would definitely make them company ready.